After four successful years of helping to build brand loyalty amongst their valued customers, boiler manufacturer Ferroli asked Sans Frontiere to modernise and redevelop Installersmate.co.uk, the online loyalty club that we created for Ferroli in 2014. 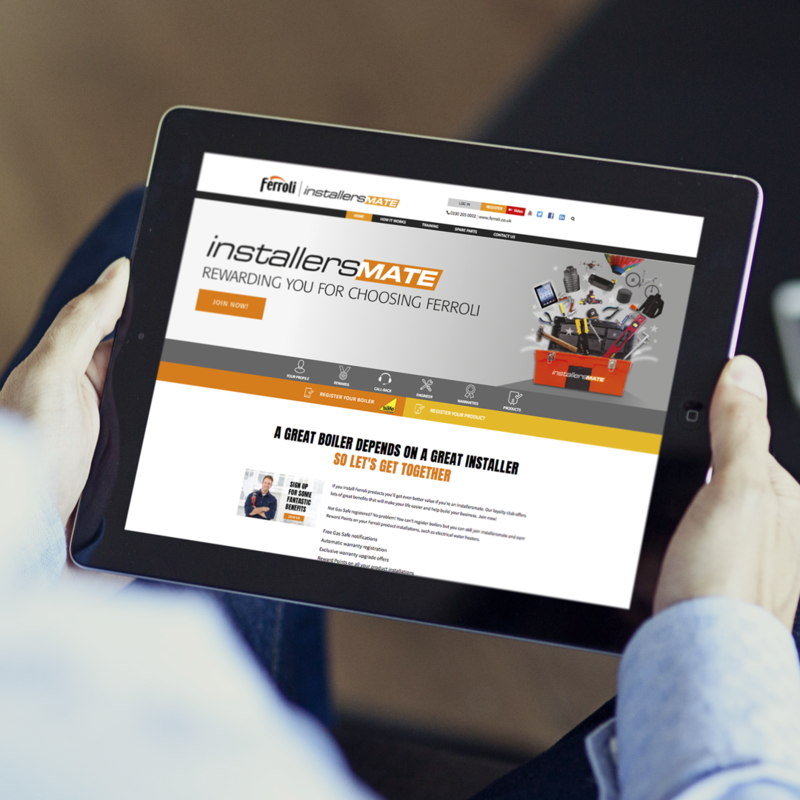 Aimed at Gas Safe engineers and plumbers, Installersmate is a time and money saving resource for busy installers where they can register and manage their Ferroli product installations and access exclusive offers such as free warranty upgrades. Sans Frontiere was commissioned to redesign and build the new loyalty club website to create a fresh look with an enhanced user experience. This included a range of improvements to the product registration process, the addition of an SMS annual service reminder function, advanced postcode matching, a feedback form and the facility to upload photos. A major aspect of the redevelopment for 2019 was the introduction of Reward Points which can be redeemed for a wide range of items such as experience days out, electronics and Ferroli branded workwear. Building brand loyalty is achieved by giving the customer what they want and for busy installers this meant that a key offering of the new website was the creation of a web-based app for use on all mobile devices. As a full service agency, Sans Frontiere promoted the rebrand of the loyalty club with PR, an eshot, social media and trade press advertising. 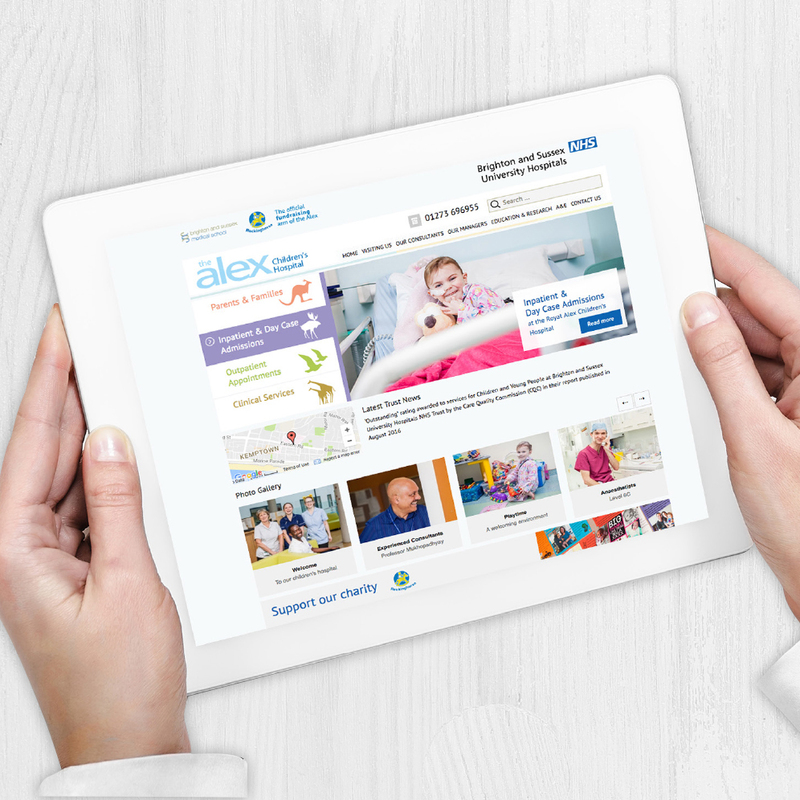 Sans Frontiere was proud to work with the Royal Alex Children’s Hospital in Brighton to develop their brand and improve their website. Sans Frontiere drew on the animal theme of the hospital’s architecture to develop a distinctive and friendly new website to promote this superbly equipped children’s hospital and to develop communication links between the hospital, prospective patients and GPs. The new brand identity was utilised on the website as well as patient literature that helps prepare parents and children for their visit. “This is a stunning achievement. It looks great! Thank you so much for all your work. I would highly recommend Sans Frontiere’s services to anybody who is looking for the same high standards of work,” commented Chief of Women & Children’s Division, Brighton and Sussex University Hospitals (BSUH) NHS Trust. Sans Frontiere designs and builds websites that are original, practical, innovative, eye- catching, easy to navigate, responsive and, importantly, intelligently adjust their layout and features based on the device that they are being viewed. If you have been working on developing a new product or service and are looking for a creative partner to work with to bring it to market, we would love to hear from you! Sans Frontiere Marketing was commissioned by Essilor (the world’s leading provider of prescription lenses) to run digital campaigns for independent opticians all over the UK who are members of the Essilor loyalty programme scheme. Throughout 2018 Sans Frontiere worked on 89 campaigns for 70 independent opticians. These campaigns typically ran for a duration of one to 8 months within a location of 3, 5 or 8km radius of each practice. The campaigns looked to raise the awareness of each practice within the local area and promote Essilor products to the correct target demographic. The generic parameters of the campaigns were to target potential local customers within the age demographic and location of the ideal customer who has a known interest in glasses, optics or eyewear. However, each campaign was bespoke to the individual optician, with some targeting audiences with specific interests including bi-focal lenses, family eye care or difficulty with vision in certain environments such as playing sport or driving. The campaigns predominantly featured on Facebook as many of the target audience were active on this channel and a number of opticians already had established Facebook pages. Where relevant, Instagram was also explored and used as channel for the adverts, including Instagram Stories & Facebook Stories; this proved to be a popular channel for the younger demographic, particularly those interested in the digital lenses (Eyezen). The campaign generated over 7,000,000 views on the content whilst reaching an audience 1,500,000 highly targeted people. The campaign operated on an 11% CTR (click through rate), significantly higher than the benchmark for this industry of 1.01% (Wordstream 2019 https://www.wordstream.com/blog/ws/2017/02/28/facebook-advertising-benchmarks). The campaigns also produced plenty of engagements and people who were interested in booking appointments with the opticians. These leads were recorded individually with each practice’s bespoke campaign. If you would like any further information regarding our work in the optics industry or support with your marketing, please contact james@sansfrontiere.co.uk or call on 01273 487800. Emergesecure chose Sans Frontiere to work with them to develop the Emergesecure brand and associated product brands. Emergesecure is a global business that makes it easier and simpler to create and distribute secure and sensitive documents in print and digital formats that are protected against forgery and counterfeiting. 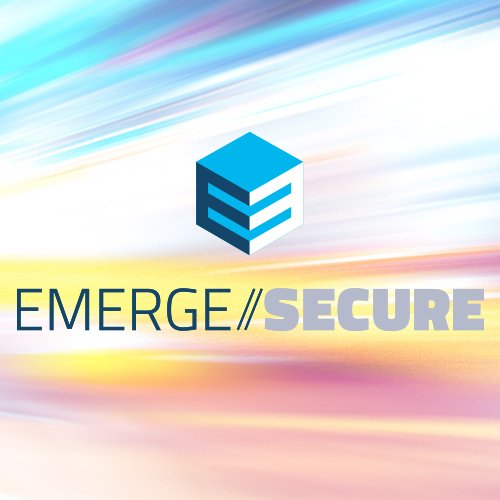 Our designers worked with Emergesecure to develop their brand both online and offline. Emergesecure offers a number of different products which we have built up as brands in their own right, each with a dedicated website. And so on. We are currently working on several new products. Our complex website structuring means you can move seamlessly around website domains without having to leave the main site or even realise you are doing so. Emergesecure is an innovator and as such needs to work with like-minded people to get the job done. If you feel that you have a complex brand and need an agency with the ability to grasp innovative thinking quickly, you may have just found your match. Sans Frontiere Marketing is trusted by corporate businesses, technology companies, event organisations and charities across Europe & the UK. Discover how our expertise can empower your business. 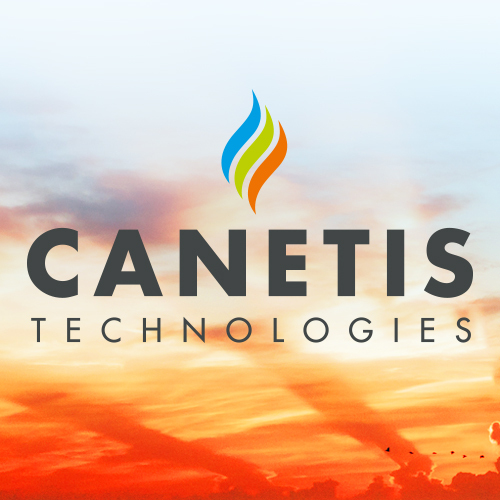 Canetis Technologies Ltd is a British innovator of disruptive technology that delivers significant savings for consumers and businesses by improving heating and hot water efficiency. The Canetis group is focused on developing and investing in low carbon technologies that will deliver attainable and realistic reductions in energy usage and set new standards in energy efficiency. Canetis Technologies chose Sans Frontiere Marketing to bring its brand to market and develop product branding for its range of disruptive technologies. Our work to date has been focused on the creation, design and development of the website www.canetis.io; the creation of a series of Homeowner, Installer and Building Services videos; email marketing; PR; social media management and exhibition material for a presentation at Energy Innovation Exhibition, Looking to the Future at Portcullis House, Westminster. If you have been working on developing a new product and are looking for a creative partner to work with you to bring it to market we would love to hear from you. We were asked by Italian manufacturer Cola Stoves to launch the brand to the UK market, beginning with the design and production of graphics for their visitor showroom. Our primary objective was to create a space that would be welcoming, stylish and visually impressive to accurately reflect the superior design and build quality of the stoves. We came up with the idea of creating room sets for the walls that would sit behind the working stoves installed in the showroom and give visitors a very real feeling of what it would be like to be in a room with that stove. 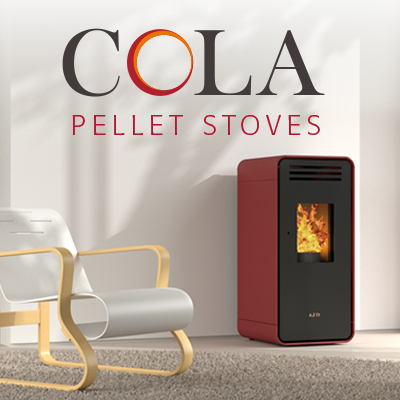 More recently we have launched Cola Stoves YouTube channel and worked with them to create three superb case study videos. Video brings the product to life for the customer and is an easy way of explaining the benefits it offers. Our experience of producing videos, radio adverts and TV commercials means we can pre-script and storyboard your project before production begins and work with you to get your message across in the best possible way. Sans Frontiere was engaged by Brighton Racecourse to conceptualise a Spring campaign for their Season Opening Race Evening. 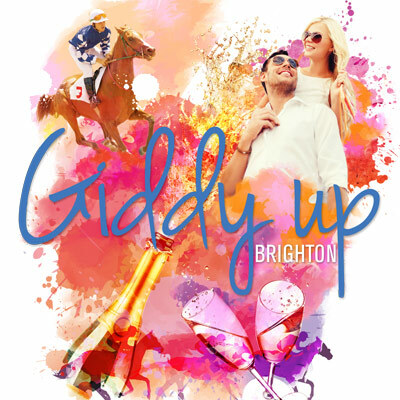 The campaign was targeting a slightly younger demographic of Brightonians and was aiming to emphasise the social aspect of the races. The creative was used across digital advertising, social media campaigns, posters, outdoor advertising, newspaper and magazine advertising. To promote their flagship event, the South of England Show, the Agricultural Society wanted to run a competition on their Facebook page. SEAS has a very active social media presence that can already boast high engagement levels, but they wanted to spread word to a wider audience rather than only those that already liked their page. Having recently produced a video for SEAS using footage from the previous Show, we decided to run a video competition to maximise ROI on the video and earn as many views as possible to build excitement around the Show. Sans Frontiere created a SEAS Youtube account and uploaded the video to their channel. We uploaded the video to their Facebook page and asked users to answer a question and tag a friend in the video post – spreading the video further on the social network. The winner won a pair of tickets to the South of England Show. The competition was a huge success – with a very small budget the video earned over 8,000 views and had hundreds of interactions. As part of our digital strategy, the competition was an integral part of the build-up in the weeks prior to the Show. SEAS more than doubled their online ticket sales and increased their ticket revenue by 14% from the previous year. Ferroli decided to step up its presence at PHEX Chelsea, the year’s most important trade event for plumbing & heating installers, and asked Sans Frontiere to design and manage the build of a new exhibition stand. A combination of our stunning design, project management skills and network of trusted suppliers delivered a highly successful event. 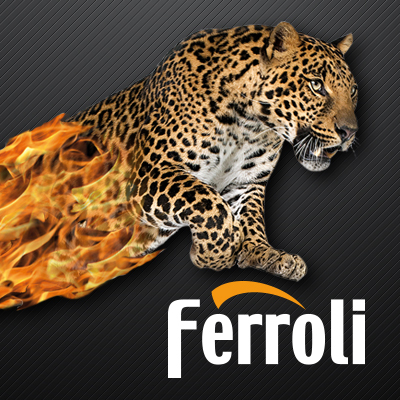 From the client’s brief on how they envisaged this exciting project, we developed the leopard branding that we had recently designed for Ferroli to create a visually stunning concept that would be impossible for visitors to miss; at the same time, the stand had to user-friendly for both potential customers to find out more about the boilers on display and for the staff manning it. We then thoroughly researched potential companies for the manufacture, build and installation of the stand and put forward our recommendations to Ferroli. From our many years’ experience of commissioning high value exhibition stands, we were able to both explain why the lowest cost option would not be fit for purpose whilst knowing that it was not necessary to choose the most expensive. This knowledge is invaluable for a one-off event that involves such a financial commitment – it’s got to be right first time. Very close liaison with the chosen stand build company every step of the way, right up to being there on the big day when the stand opened to visitors, ensured that the stand was delivered on time according to the brief and that the event was a great success. With the huge rise in online university courses, the potential for forgery and theft of education certificates has also grown and this means that increasingly sophisticated technology and strategies are required to keep the awarding bodies one step ahead. Security print company Smith & Ouzman’s innovative new web portal Ecertsecure, which offers awarding bodies flexible ways of personalising, proofing, printing and distributing certificates, provides precisely the protection needed. To communicate this clever product to awarding bodies all over the world Sans Frontiere delivered a four-minute ‘how to use’ video, a landing page and a four-page brochure. 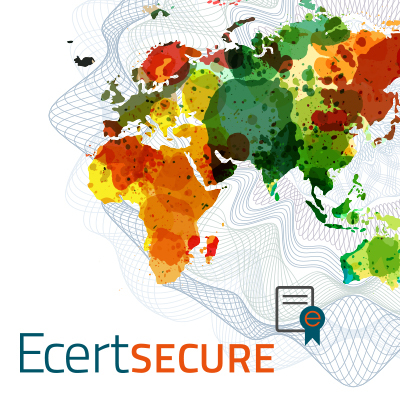 Before embarking on this project, the most important thing was to acquire a full understanding of how Ecertsecure works. No matter how complex the subject is , we always ensure that we know what we’re talking about! Ecertsecure is actually easy to use when you know how so we used our design and copywriting skills to produce a succinct A4 four-page brochure and a dedicated landing page branded with an eye-catching image that made it clearly definable against Smith & Ouzman’s other products. The key to the success of the campaign was the production of a four-minute ‘how to use’ video that could be viewed both on the landing page and on YouTube. Armed with our thorough understanding of how Ecertsecure works, we produced a storyboard and commissioned the production of the video from a trusted supplier. Very close liaison throughout the process ensured that the final cut perfectly summarised everything potential customers needed to know about the product and how it could protect both their students and their reputation. Since we created our first online interactive game for pump manufacturer Wilo UK in 2013, it’s become a regular feature of our marketing strategy for the company. For 2015 we created Wilo Code Breaker, supported by a suite of printed marketing collateral and a low-cost PPC campaign. The format of ‘every pump purchased is a chance to play & win’ has become well known amongst Wilo’s regular customers and awareness of the games has continued to spread by word of mouth to attract new customers. 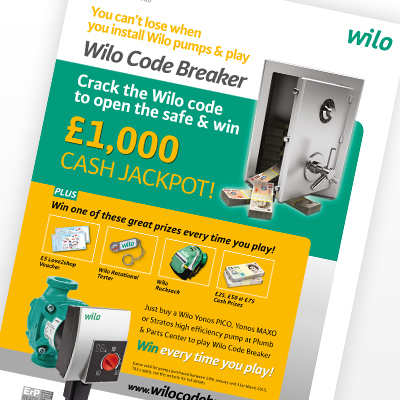 Wilo Code Breaker works on the simple yet enticing premise of ‘crack the code and open the safe to reveal your prize’. We developed the creative concept and built an animated website featuring a safe which, upon entering the unique data from their pump purchase, would open to show which prize had been won – a range of cash prizes or useful Wilo merchandise. The creative concept was developed into a comprehensive suite of printed marketing collateral for the merchants trade counters to include an A5 leaflet, twist & lock counter top leaflet dispenser, A2 poster, window sticker and advert, plus a voucher wallet and envelopes for prize fulfilment, all strictly in line with Wilo’s brand guidelines. To launch the game we designed and built an HTML eshot and ran a low-cost PPC campaign to ensure that players could find the game online via Google. We then managed the game in-house to monitor entries, dispatch prizes and communicate with players on Wilo’s behalf. Wilo Code Breaker is a perfect example of how we combine the skills and expertise of our creative designers, back-end and front-end digital developers, digital animation specialist and account management team to produce an eye-catching and effective online marketing campaign. 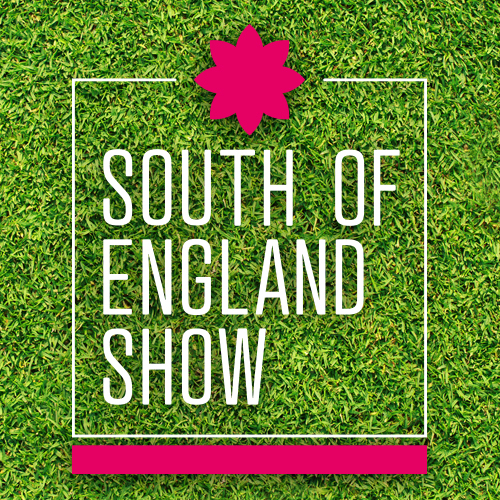 Whether it’s creative to promote their flagship event the South of England Show or the branding for the Shows throughout the year, the South of England Agricultural Society relies on us to deliver on all counts. We provide the Society with branding and high impact cross channel marketing campaigns that work across all platforms on a quick and efficient turn around. This year we have developed new branding for each of the Society’s four Shows, developed the creative for the relaunched Spring Live! 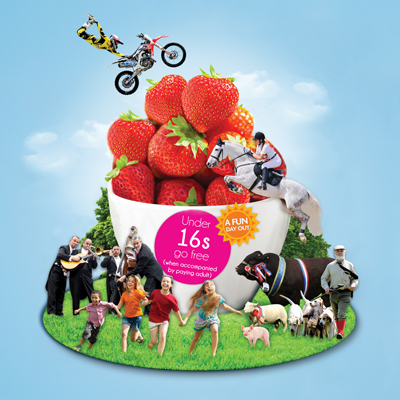 event and the very exciting new creative for this year’s South of England Show with the tag line ‘You’ll LOVE our Country Show’. There’s been a lot to do already this year along with pay per click campaigns, Facebook and Twitter activity @SouthofEngShows, eshots, videos, billboards, radio advertising and much more. We are all working hard to deliver day visitor numbers in excess of 70,000 for the South of England Show 2018. With over 21 years experience of working with Day Visitor Venues we are proud to be now working with one of the South’s biggest and best. We would be delighted to add more venues to our list of happy clients. Please do get in touch to find out how we can help you to boost your visitor numbers. Offering customers an online loyalty club has become de rigueur for boiler manufacturers so when Ferroli asked Sans Frontiere to enhance their brand and reputation within this highly competitive market, we came up with the concept of Installersmate. But Installersmate is much more than just a website; as well as a range of benefits for plumbing & heating engineers who install Ferroli boilers, the key offering of this new website required Sans Frontiere to utilise the web services of a third party organisation by using their API. This complex back-end development work allows installers to make their boiler installation notifications with Gas Safe Register – something they are required to do by law – via Installersmate with Ferroli paying the £2.20 fee for them. The success of this project involved precise adherence to Gas Safe Register’s requirements, which we achieved thanks to our digital expert knowledge and dedicated account management. Building brand loyalty is achieved by giving the customer what they want; Sans Frontiere’s experience of marketing within the energy sector meant that we knew what Ferroli’s customers would be looking for, and it didn’t need to be over-complicated. As well as free Gas Safe notifications, Installersmate provides installers with a secure place to keep a record of all their Ferroli boiler installations, a quick and simple way of registering their customers’ valuable warranties and regular competitions, plus a points-per-purchase rewards scheme planned for 2015. Installersmate also comes with a great business-building tool – an email reminder service that tells both the customer and the installer that the boiler’s annual service is due. 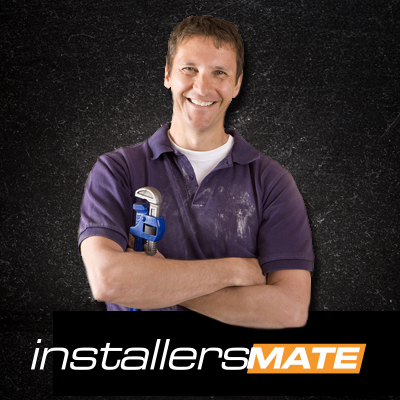 By programming the system to trigger an email to both parties six weeks before the anniversary of the installation, Installersmate helps to build loyalty between the installer and customer and protects the reputation of the brand by encouraging best practice. The creative design of the website reflects Ferroli’s branding, which is both striking and familiar to installers, and has a friendly ‘face’ that was meticulously selected to appeal to our target market. After launching the loyalty club with PR, an eshot and trade press advertising, the target market of Gas Safe registered engineers began to sign up at a rate of knots and the Ferroli brand continues to reap the benefits. New Client Announcement! Sans Frontiere are delighted to partner with Plumpton Racecourse. Traditional Marketing – Is there still a place for it? Mobile has overtaken desktop for viewing websites. Are you missing out on sales? Fighting off the sharks. How we do WordPress security. What is Rankbrain and does it affect your SEO?